Problem-based learning, makerspaces, flipped learning, student blogging -- these are becoming perceived staples of 21st-century learning. With such ambitious practices taking the spotlight for how people regard modern classrooms, it's not surprising that a murmur of impracticality or skepticism is still a frequent response when they're first introduced. 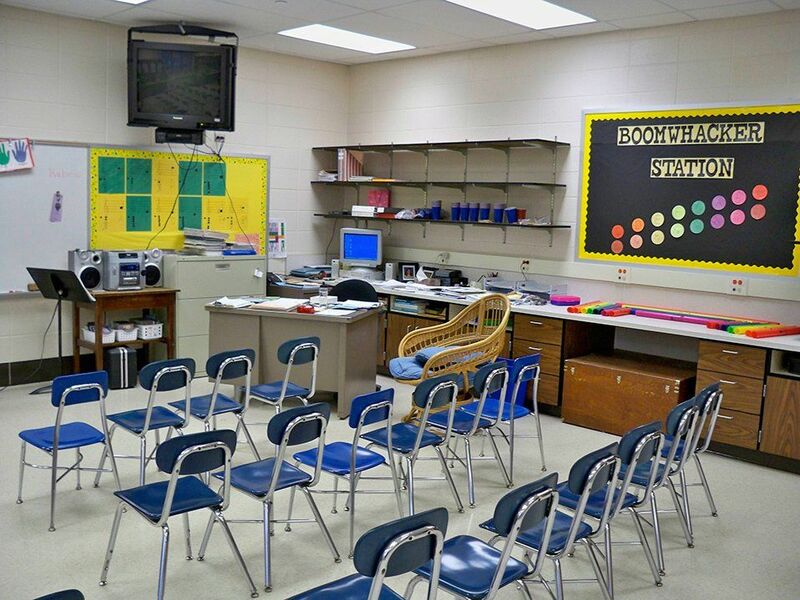 Designate a whole-group special gathering zone (class meetings, wrap-ups, mini-lessons) by laying a second-hand rug or taping down a perimeter -- even for older students! Ask your administration's permission to have the custodian adjust the height of bulletin boards, whiteboards, hooks, and anything else that isn't as functional as it could be. We need to be sure that we're not catering to just one type of learner. Be mindful of your introverts, extroverts, collaborators, solo thinkers, writers, dreamers, and fidgeters -- and design a flexible environment that can meet everyone's needs. Create a tech station to allow students more choices in how to research, practice, and present learning. Don't have 1:1 or even 30:1? Start today by submitting a DonorsChoose project requesting a tablet or laptop. Chromebooks are under $200 and iPad Minis under $300. Then, immediately install an arsenal of apps or Chrome apps to help preclude the all-too-common "what do I do with these devices?" dilemma. 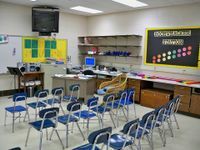 The abovementioned casters will help your students easily roll their chairs away if they need to work solo for a bit, or to collaborate with multiple people around the classroom. Add a clipboard, and voila -- a budget-friendly version of the Node chair. Explicitly teach and emphasize process over product, growth mindset, and metacognition. We cannot cultivate risk taking, failing, and perseverance -- all essential characteristics of creativity -- if we repeatedly demonstrate to students how all that really matters is neatly filling out our worksheets. Consider our students who don't do school very well. You know the ones -- the kid who rarely earns stars and class bucks, the kid who never brings homework, the kid whose name is called far more frequently than others (but usually for remonstration). For them, traditional school quickly becomes a game of "me vs. the teacher." For their sake, we must find ways to dissolve this mindset, replacing it with the real reason why we're all at school -- genuine learning and growth. Carefully examine your reward systems and ask yourself: "Do they perpetuate or lessen the perceived game of student vs. teacher?" Take steps to minimize extrinsic rewards that often do nothing but reinforce to struggling students the futility of their efforts. What small changes can you visualize in your room today? Comment below to share your practical strategies.